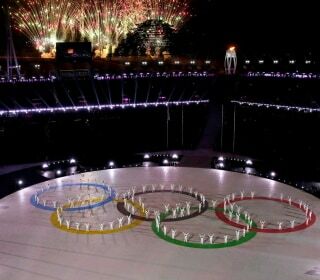 The opening ceremony was an elaborate show of light, sound and dance despite frigid temperatures in PyeongChang, South Korea. From curling to skating, go here for a full schedule of games, live streams, medal counts and more. The unique rules for figure-skating judges make suspect scoring inevitable, and statistics suggest judges give higher marks to skaters from their own countries. With only 100 days until the 2018 Winter Olympics kick off in PyeongChang, South Korea, it’s time pay attention to a few of the top medal contenders. Russia's Olympic team has been barred from the 2018 Winter Olympics as punishment for alleged state-backed doping at the 2014 Sochi Games, the International Olympic Committee announced. 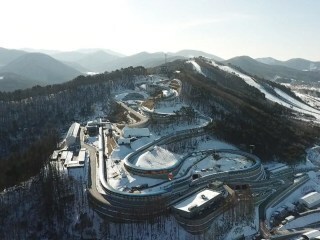 In South Korea for the Winter Olympics, NBC’s Keir Simmons reports on what to explore in Pyeongchang, including winter sports, ice fishing, the world’s largest mogul run, and the best pancakes on the planet. One downside: It’s very cold – which is a good excuse for eating hot food and enjoying a relaxing sauna. NBC Olympics will air more than 50 hours of live virtual reality coverage of the PyeongChang Winter Games next month. Despite growing up in the shadow of bullies, Johnny Weir found and stayed true to his authentic self. 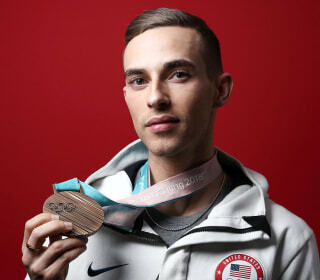 Adam Rippon is at a career crossroads after finishing his competitive figure skating career with an Olympic bronze medal. Here, he shares what's next for him and what advice he has for others trying to figure out the path forward after a big change. What happens to stadiums after the Olympics, or the World Cup? It’s a challenging question for every host city. While some stadiums survive as tourist attractions, many others are collecting dust. Here's how the PyeongChang Games will be defined beyond the brilliance seen on the slopes and the ice. The Russian athletes were punished by the IOC before these games in response to Russia's alleged state-sponsored doping program. Doctors told Thomas Walsh he might never ski again after he was diagnosed with a rare form of bone cancer. The determined athlete never gave up, now representing Team USA at the Paralympic Games in PyeongChang. The four centers at the PyeongChang Olympics were created as a way for athletes, volunteers, spectators and anyone else to come forward for help. Day 14 of the Winter Olympics featured weaving bobsledders, twirling skaters and sweeping curlers. The senior White House adviser said the U.S. delegation was "very, very excited" to attend the Games and to cheer for Team USA. “I knew what I was doing was wrong, but at the same time I was thinking… I’ve got to do what it takes,” Olympic figure skater Adam Rippon tells NBC News’ Kate Snow. After winning bronze for Team USA in moguls at the Torino Olympics, the attention helped Toby Dawson reunite with his Korean birth parents. Now he calls South Korea home and coaches the country’s freestyle ski team. Chris Mazdzer is the first American athlete to medal in men's singles luge. In two minutes, he shares why his approach to failure helped him succeed. The data from the 2018 Winter Games shows that American judges are just like everybody else — they give better scores to figure skaters from their own country. At age five, Hilary Knight knew she wanted to be an Olympic hockey player. She’s been determined to bring home the gold medal for Team USA ever since—now more than ever against the rival Canadian team. Kikkan Randall is the only mom on Team USA and the first American woman to win a world cup title in Cross Country. Hundreds of D.C.-area students marched to the Capitol, chanting and demanding gun control from lawmakers in the wake of the school shooting in Parkland, Fla.
After a tough landing sidelined the snowboarder in 2016, Ryan Stassel’s tricks and stunning precision have brought him to the 2018 Winter Games. It’s Barbara Bogner's job to make sure the ice is just right for Olympic figure skaters and short track speed skaters. North and South Korea agreed to march together at the opening ceremony for the 2018 PyeongChang Olympics, but this is not the first time they have marched together. The two countries have a long history of planning joint Olympic activities - sometimes successful, sometimes failing with deadly consequences. Canada's Tessa Virtue and Scott Moir win gold at the PyeongChang Olympics after winning a team event medal earlier during the Games. After a 9th place finish in Sochi, Alex and Maia Shibutani have claimed bronze in PyeongChang. After her first trip down the icy track, Aja Evans wasn’t so sure about bobsled. Now the athlete from Chicago is in pursuit of Olympic glory. Fans are wondering why Alexander Krushelnitsky would take a banned substance in a sport that doesn't require the same stamina as speed skating or physicality as bobsled. The brother-sister ice dancing duo are titans on the ice and on social media. Medal winners in PyeongChang won’t just get glory. Olympic victory can bring fame and endorsements, and in some countries -- pretty sweet swag! Shiffrin powers to a win in the giant slalom, a flock of snowboarders takes flight and more highlights from day six of the Winter Olympics. After a disappointing short program, Nathan Chen made history with his free skate and scored a personal best. It has been eight years since Lindsey Vonn last raced in an Olympics. In PyeongChang, the 33-year-old ski racer says she is more motivated than ever to win—for herself and for her late grandfather. The Salt Lake City teen predicted he’d make the 2018 U.S. Olympic team when he was just 10 years old. When Mac Bohonnon began aerial skiing, he convinced his childhood friend Kiley McKinnon to take up the gravity-defying sport with him. The athletes who grew up together in a small beach town are now both competing at the Winter Olympics. After an emotional loss in Sochi, John Daly was ready to give up on skeleton racing for good. With determination, support from his family, and humor, he feels more prepared than ever in PyeongChang. Day five of the games saw Shaun White reclaim his halfpipe title, winning Team USA's 100th Winter Olympics gold medal. 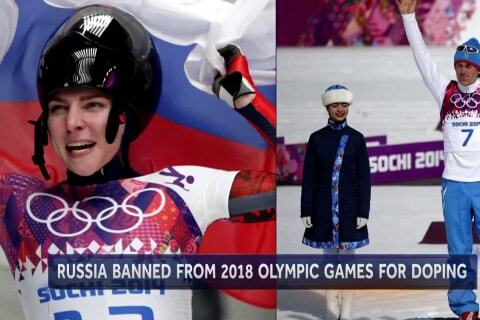 Fans are wearing the colors of the Russian flag and cheering pro-Russian slogans — thumbing their noses at the IOC for Team Russia's ban. "I've grown as a person over the years," the Olympic gold medalist said during an interview on NBC's "Today" show. Luge is the fastest of the sliding sports with athletes hitting speeds up to 90 miles an hour. Despite the level of danger sliders face on each run, the perfect cocktail of skill, science and mobility can lead them safely to top speed and eventually Olympic victory. Chloe Kim, who was too young to qualify for the 2014 Winter Olympics in Sochi, wins gold with a near-perfect score in her first Olympic games in PyeongChang. Researchers with cyber security firms Cisco Systems Inc, CrowdStrike and FireEye Inc said in blog posts and statements to Reuters on Monday that they had analyzed computer code they believed was used in Friday's attack. North Korea's leader reportedly said it is important to boost the "warm climate of reconciliation and dialogue" after his delegation's trip to the Olympics. Chloe Kim started snowboarding when her father decided he wanted to learn -- and by age 5, he says she was already better than him. “He was still falling off the chairlift and I was cruising by him,” she said. Jamie Anderson takes home gold in slopestyle, mogul skiers take flight and more from Day 3 of the PyeongChang Winter Olympics. Skiing? Shooting? Finally, a sport that can unite red and blue America at the Winter Olympics in PyeongChang South Korea, at least for the next two weeks. Ahead of competing in the 23rd Olympic Winter Games in PyeongChang, American freestyle skier Gus Kenworthy talks about coming off his successful run at the Sochi games, where he took home a silver medal, in an interview with NBC News’ Kate Snow. He also addressed his criticism of Vice President Mike Pence and proudly representing the LGBTQ community at the games. Growing up, Hannah and Marissa Brandt did everything together--including playing hockey. The pair are competing on separate teams in PyeongChang, with Hannah playing for the U.S. and Marissa for the unified Korean team. Snowboarder Red Gerard wins the first U.S. gold medal of the 2018 Winter Olympics, speed skaters crash, and more from South Korea. Bradie Tennell has loved Cinderella since age two, the same age she fell in love with skating. She’s overcome obstacles, including two back fractures in 2015 and 2016, in her stunning journey to the Olympic Games. From a virtual reality experience from Samsung to robots carrying the Olympic torch, technology is taking center stage during the Olympic Games. For the first time, a host city is hoping to bring awareness to sexual violence during the games by opening four counseling centers within the Olympics. The Vice President’s efforts to keep North Korea from stealing the show at the Winter Olympics proved short-lived. Fierce wind forced the Olympic men's downhill to be postponed Sunday, moving the marquee race from its traditional place opening the Alpine program. It's the second Olympics in a row that the first U.S. medal of the Winter Olympics has come in men's snowboard slopestyle. The U.S. team of Matt and Becca Hamilton finished round robin play 2-5 overall. The Hamiltons will compete again in the men's and women's team events. Team competition continues in Figure Skating with the short dance and the ladies' short program. After curling together in the new mixed doubles event, Matt and Becca Hamilton prepare to compete separately with the men’s and women’s teams. Fred Warmbier has met with several North Korean defectors and he said because of Otto's ordeal, he feels a connection with them. They may have lost in their debut game at the Winter Olympics on Saturday night, but the first-ever joint Korean women's ice hockey team easily won the crowd. Kristi Yamaguchi and Michelle Kwan have been called "heroes" by many of Team USA's figure skating stars. Let the Games begin! 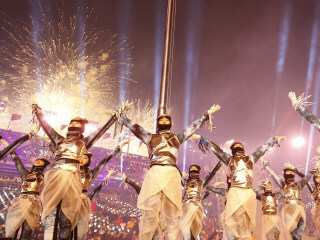 Coverage of the Opening Ceremony celebrates the official start of the XXIII Olympic Winter Games in PyeongChang. Pence told NBC’s Lester Holt that the U.S. would protect itself from North Korean nuclear threats by taking whatever “action is necessary." Mikaela Shiffrin won gold in slalom at the 2014 Sochi Olympics, the youngest winner ever for that event. With more than 40 world cup wins under her belt, Shiffrin is a medal threat in multiple events in PyeongChang. 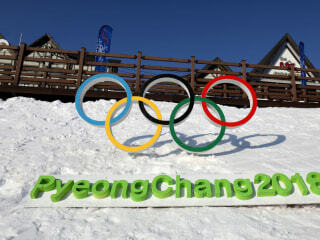 The 2018 Winter Olympics kicks off in PyeonChang tonight amid a backdrop of nuclear tensions on the Korean Peninsula. President Donald Trump has embraced a big-stick approach to North Korean relations, notably tweeting that his "Nuclear button" is "bigger & more powerful" than that of North Korean leader Kim Jong Un. It is classical deterrence theory distilled to 280 characters: that the promise of nuclear retaliation will deter other states from launching their own nuclear attack. But is it the right strategy? In a THINK op-ed, David Barash weighs in. 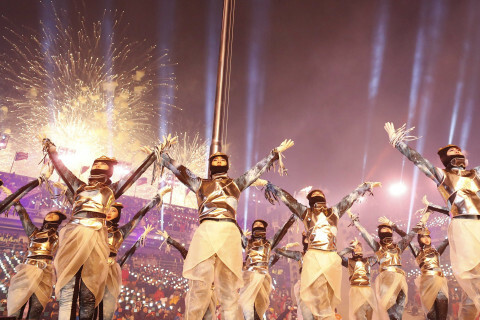 The stunning start of the 23rd Olympic Winter Games followed months of escalating rhetoric over the political tensions between North and South Korea. From bobsled to hockey, these African-American athletes are making historic contributions to the 2018 PyeongChang Winter Olympics. The Court of Arbitration for Sport dismissed appeals from 45 Russian athletes and two coaches who were banned from the Pyeongchang Olympics. Chris Knierim and Alexa Scimeca Knierim were married one year after winning their first U.S. pairs title in 2015. Now, the couple has achieved their dream of competing in the Olympics together. More than 50 million people call South Korea home, as well as companies like Samsung and Hyundai. The country last hosted the Olympics in 1988 for the Summer Games in Seoul. Four-time Olympian Erin Hamlin will carry the U.S. flag during Friday’s Opening Ceremony. Competition has already kicked off in sports like curling as American athletes go for gold. Kim Jong Un’s younger sister, Kim Yo Jong, will attend the PyeongChang Winter Olympics as part of a 22-member government delegation. With temperatures dropping, the 2018 Winter Olympics in PyeongChang may be the coldest Olympics since the 1994 Winter Olympics in Norway. Nathan Chen is expected to compete at the 2018 PyeongChang Winter Olympics wearing a costume by Vera Wang, who has also made costumes for Michelle Kwan. 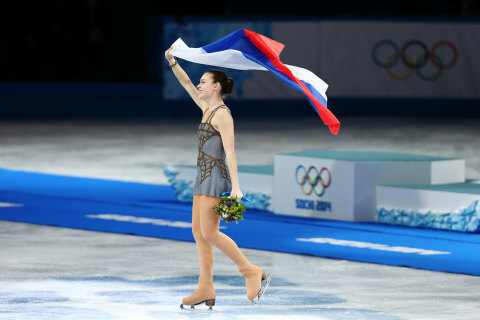 There are no lifetime bans for figure-skating judges who break rules, even for repeat offenders, and even for for a judge who tried to rig an Olympic event. A celebration to mark 70 years of North Korea's military ended with a parade of its most advanced weapons. On your marks, get set ... the Winter Olympics are under way! In Ubers, on Peloton bikes, and even bus stops — if there’s a screen, the Winter Olympics will be on it. It was announced Wednesday that Kim Yo-jong, the sister of North Korea’s leader, will be a member of the country’s Olympic delegation. The announcement came as Vice President Mike Pence, who will also attend the Opening Ceremony, warned that the U.S. will soon unveil aggressive sanctions against North Korea. Security is a top concern for officials just days before the Olympic Games — which are taking place as nuclear tensions have ramped up on the Korean Peninsula. Kim Yo Jong, who is an increasingly prominent figure in the country's leadership, will be part of the North's delegation to the PyeongChang Games. South Korean authorities deployed 900 military personnel at the Pyeongchang Olympics after the security force was depleted by an outbreak of norovirus. Think Olympic figure skating judges are biased? The data says they might be. 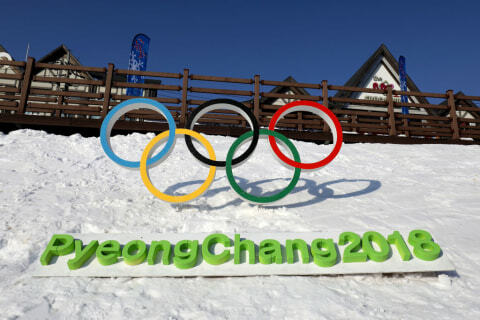 Freezing temperatures are expected during the PyeongChang Olympic Games. Athletes have prepared by wearing heated jackets, but spectators may be at risk. 18-year-old Karen Chen, known as the ‘quiet assassin’ for her stealth and stature, will represent U.S. women’s figure skating at the 2018 Winter Olympics. Some hope the attention given to condoms in PyeongChang will help those in the country discuss sexual health issues more openly. Figure skaters Ryom Tae Ok and Kim Ju Sik were among a 32-member delegation arriving for the Winter Games.